CARACAS, Jun 4 2014 (IPS) - Although Venezuela has 520 long rivers, taps often run dry, many poor neighbourhoods depend on tanker trucks, water rationing remains a reality, and in some areas water quality is very poor. One of the rivers, described by Jules Verne as The Mighty Orinoco, is the world’s third-largest in terms of water volume, after the Amazon and Congo rivers, with hundreds of tributaries in a basin of nearly one million square kilometres that empties into the Atlantic ocean. But the distribution of water in the national territory is another story: 90 percent of the population is urban and 80 percent lives in the north and west of the country, where only five percent of the freshwater is located. “Since 2011, the taps almost always run dry. Families here pay 1,000 bolivars each [20 dollars, one-quarter of the minimum monthly wage] to pay the tanker trucks that bring us water,” street vendor Dulce Hernández from Carayaca, a town on the Caribbean coast northwest of Caracas, told Tierramérica. Similar stories abound in the capital and other cities: schools that send children home early because there is no water in the toilets and sinks; restaurants that do not provide beverages, or simply close their doors when the water stops running; small gardens that dry up; roads that are blocked by protesters after days without running water. In the upscale neighbourhood of Altamira, this journalist went to an interview in the embassy of a European country, and was offered a cup of coffee. But a few minutes later, the offer was cancelled: there was no water in the tap. Since 2008 Venezuela has boasted that it met the Millennium Development Goal of halving the number of people who do not have access to safe drinking water, reporting that clean water now reaches 96 percent of the population of 30 million. But in 2003, 2009 and now 2014, with the changes in rainfall patterns caused by the El Niño and La Niña climate phenomena, large segments of the urban and rural populations have found that the taps are dry, or running only sporadically, or the water is brown because of the mud, or green due to organic material. In the north-central part of the country, where lake Valencia (344 square kilometres) and the industrial city of the same name are located, local residents who block roads to protest the lack of clean water agree with those who mount roadblocks to complain about poor water quality. “We are grateful to the government for giving us these houses, but we are living with an enemy: the green water from the tanks. We boil it for cooking, but it’s not safe, and we worry when we bathe our children,” Hilda Rosales, who lives in a “petrocasa” – prefabricated houses built with panels made of PVC – in Guacara, near Valencia, told Tierramérica. In this area, “water scarcity coincides with poor quality. Government institutions just wait for the rain to fill the tanks, but the rain washes down minerals and organic residue which obstruct the pipes,” sanitary engineer Manuel Pérez Rodríguez, with the Movement for Water Quality, which is active in the region, told Tierramérica. The water level in lake Valencia rose five metres in just a few years, flooding 10,000 hectares of land and affecting neighbourhoods in the lakeside city of Maracay. 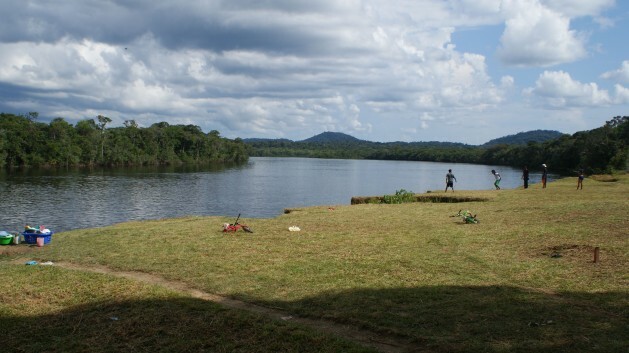 Given the risk of even worse flooding, the Environment Ministry and state water companies decided to divert some of the lake’s water to the Pao-Cachinche regional reservoir. The Pao-Cachinche reservoir is on the route of waste water collectors from an area of intense urban residential, industrial and agricultural activity. “The filters from the water treatment plants are back flushed with this residue-laden water, they plug up faster, and poor water quality replaces the problem of scarcity,” said Pérez Rodríguez. The government plans to develop 18 new systems for collecting and purifying drinking water, build 180 rural aqueducts, rehabilitate more than 500 supply networks and drill new wells, to expand coverage in order to reach 98 percent of the population in four years, Environment Minister Miguel Rodríguez said. Venezuela is among the 20 countries in the world with the largest freshwater renewable resources available for supply: 41,886 cubic metres of water a year per capita, similar to its neighbours Colombia and Brazil, according to the United Nations Food and Agriculture Organisation (FAO). But most of the rivers, especially the longest and fastest-flowing, are in the south. And the water supply for most of the inhabitants, who live in the north, depends on costly treatment and transport of water across the country. Orinoco and Carona rivers, but the plans were suspended. And this century, late former president Hugo Chávez (1999-2013), who died last year, proposed developing an Orinoco-Apure (its largest tributary) river route, but the plan never made it past the design stage. The problem is not new. In 1958, when Colombian Nobel Literature Prize-winner Gabriel García Márquez (1927-2014) was working as a journalist in Venezuela, he wrote a series of reports that were later published in one volume, titled ‘When I was Happy and Undocumented’. 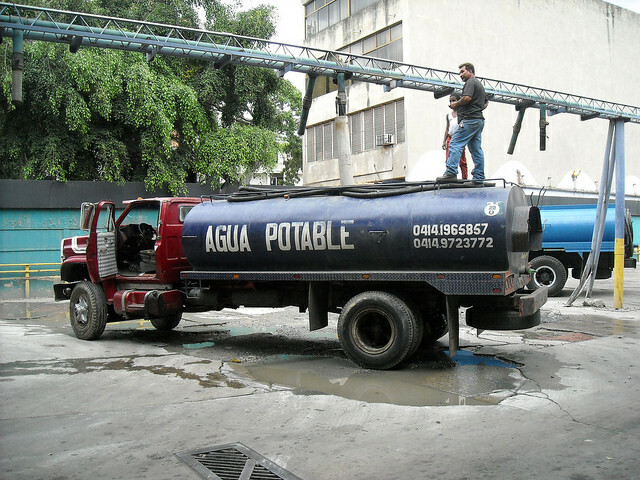 The main character in one of the stories, ‘Caracas Without Water’, was a fictitious German tourist who described how his stay in the Venezuelan capital was affected by the drought. The story describes a reality that has not changed much in the city nearly six decades later.